Veteran businessman Beny Steinmetz together with his wife Agnes and the late Professor and Nobel Laureate Elie Wiesel were close friends for years. Until 2015, shortly before his passing, Wiesel and his wife Marion were members of the board of directors of the Agnes and Beny Steinmetz Foundation. Through the years, the Wiesels were also actively involved with their own charitable foundation called the Elie Wiesel Foundation for Humanity. Both Agnes and Beny Steinmetz supported the Elie Wiesel foundation in various ways, especially in its activity in Israel. Known for his profound devotion to promoting human rights, Elie Wiesel has received several awards including the Presidential Medal of Freedom, the National Humanities Medal, the Medal of Liberty, the US Congressional Gold Medal and of course the Nobel Peace Prize. After receiving the latter in 1986, Elie and Marion Wiesel launched the Elie Wiesel Foundation for Humanity. As a Holocaust survivor, Elie Wiesel was devoted to preserving the memory of the millions of victims who did not survive. For this reason his foundation’s mission is to fight any form of indifference, injustice and intolerance. It tackles social issues through youth-focused initiatives that promote equality, acceptance and understanding. For over two decades the foundation has been operating two educational centers for the Ethiopian population in Israel. The two Beit Tzipora Centers are located in Ashkelon and Kiryat Malachi, and are focused on empowering the Ethiopian-Jewish community and giving the young members of the community an equal opportunity to successfully participate in Israeli society. The Elie Wiesel Foundation for Humanity has been responsible for a range of important international discussions about topics like peace, health, education, terrorism and the environment. The foundation’s conferences have brought together world leaders and Nobel Laureates, and encouraged action aimed at positive global change. For the past 27 years the foundation has also presented the Ethics Essay Contest in the US – a challenge for college students to scrutinize vital ethical problems the world is facing today. 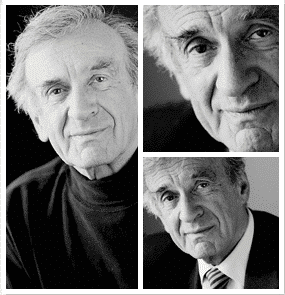 The founders and members of the Agnes and Beny Steinmetz Foundation are deeply honored to have had professor Wiesel on the board of directors. His insightful contribution was significant and will continue to resonate for years to come.